Hunger. Drought. Conflict. These are the deadly forces that children and families throughout East Africa are facing. Parts of South Sudan are already in the grips of the hunger crisis, while areas of Somalia, Kenya, and Ethiopia are on the brink of catastrophe. Tens of thousands of children could starve to death because of food and water shortages. But this crisis isn't hitting the news as it should be. 25 million people, our brothers and sisters, are at risk of starvation. This hunger crisis is likely to be the most devastating since we were kids and witnessed Ethiopia's famine — the one that inspired "We Are the World" and Bono's first trip to Africa with World Vision. We were on the front lines then, bringing visibility to that tragedy with real-time footage. We still have boots on the ground there to bring life-saving hope in Jesus' name. But we need your help. 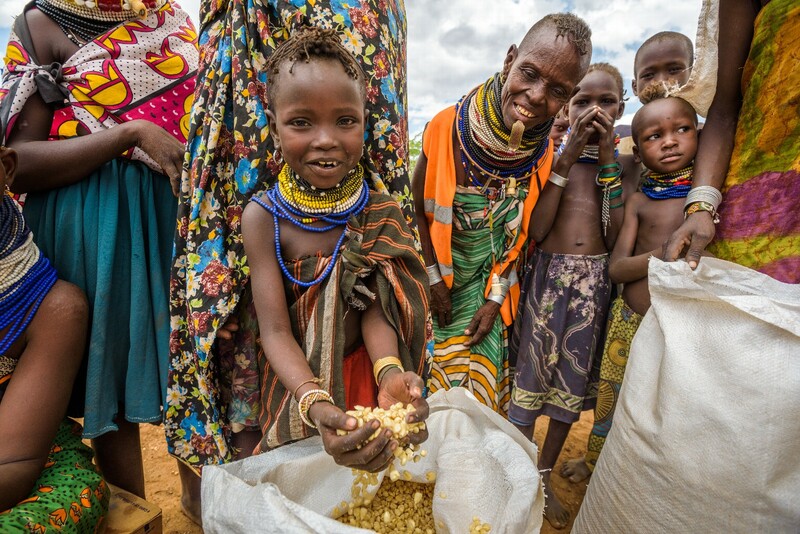 Your gift to our East Africa Hunger Crisis response will save precious lives and help stop the further spread of famine. And because of grant funds, your gift will have 11X the impact to provide emergency food, clean water, access to life-saving medical care, and more to children and families fighting for their lives. At World Vision, stewardship is an integral part of everything we do. In rare cases where donations exceed what is needed, or where local conditions prevent program implementation, World Vision will redirect funds to similar activities to help children and families in need.